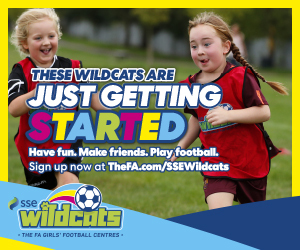 Leigh Genesis F.C have Launched an FA Wildcats centre at Lowton High School Wednesdays 6-7pm. The centre started on the 1st April and will run throughout the year. The sessions are aimed at 5-11 year old girls who are new to football and are a pathway into existing Leigh Genesis teams and or we can create new teams. Genesis currently have 6 girls teams and over 100 girls participating in football activities and have a good record of promoting football for girls. For further information contact Rob Atherton on 07847 898343"